Taxes are generally an involuntary fee levied on individuals or corporations that is enforced by a government entity, whether local, regional or national in order to finance government activities. In economics, taxes fall on whomever pays the burden of the tax, whether this is the entity being taxed, like a business, or the end consumers of the business’s goods. (Source: Investopedia). It is a monetary burden laid upon individuals or property owners to support the government. It is not a voluntary payment or donation, but an enforced contribution towards the government. The prime reason for levy of taxes is that they are the basic source of revenue to the government which can be utilised by the government for its expenses like defence, healthcare, education, different infrastructure facilities like roads, dams, highways etc. There are mainly two forms of taxes namely Direct and Indirect taxes. These are defined according to the ability of the end taxpayer to shift the burden of taxes to someone else. Direct taxes allow the government to collect taxes directly from the consumers while indirect taxes allow the government to expect stable and assured returns through the society. A Direct tax is imposed directly on the taxpayer and paid directly to the government by the ones on whom it is imposed. It cannot be shifted by the taxpayer to someone else. 1. Income Tax: It is levied on and paid by the same person according to the different tax brackets as defined by the income tax department. It is imposed by the government on all the income that is generated by various entities within their jurisdiction. All individuals and businesses have to file an income tax return every year to determine whether they owe any taxes or are eligible for any tax refund. 2. Corporate Tax:It is also known as the corporation tax. It is the tax on all the income or gains generated by corporations. It is generally levied on the profits earned. The companies and business organizations are taxed on the income under the provisions of Income Tax rules. 3. Inheritance (Estate) Tax: An inheritance tax which is also known as an estate tax or death duty is a tax which arises on the death of an individual. It is a tax on the estate, or total value of the money and property, of a person who has died. 4. Gift Tax: It is the tax that an individual receiving the taxable gift pays to the government. This form of taxation indicates social justice as it is based on the ability to pay. The economic situation of persons determines the rate at which they are taxed. Also the progressive nature of direct taxation can help reduce income inequalities. This is well depicted by the slabs and exemption limits for different sections like women, individuals and senior citizens. 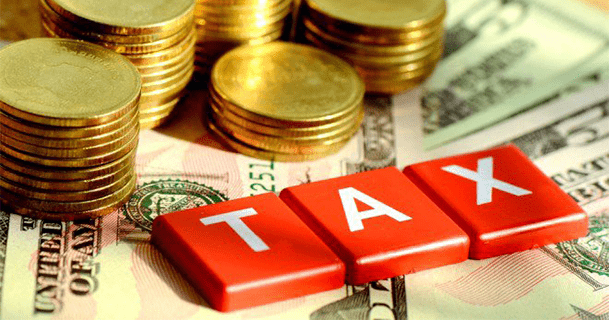 The tax payer is certain as to how much tax is to be paid, as the tax rates are decided in advance. The same implies for the government where it can estimate the tax revenue from direct taxes. Collection of direct taxes is generally economical. Like in the case of personal income tax, the tax can be deducted at source (TDS) from the income or salaries of the individuals. So, the government does not have to spend much in tax collection as far as personal income tax is concerned. Increase in the income of individuals and companies, leads to increase in the yield from direct taxes also. An increase in tax rates would increase the tax revenues. Thereby, direct taxes are relatively elastic. Direct taxes can help control inflation. When the inflation is on the uptrend, the government may increase the tax rate. With an increase in tax rate, the consumption demand may decline, which in turn may help reduce inflation. We have higher tax evasion in our country due to high tax rates, poor documentation and corrupt tax administration. This helps in suppressing the correct information about incomes easily and thereby with manipulating accounts, evasion on tax is encouraged. Direct taxes can affect savings and investments. Due to tax implications, the net income of individuals reduces, in turn reducing their savings. Reduction in savings results in low investment, affecting the capital formation in the country. The direct taxes are arbitrary. There is no objective defined for determining the tax rates of direct taxes. Also, the exemption limits in personal income tax, wealth tax, etc., are also determined in an arbitrary manner. Therefore, direct taxes may not always fulfill the requirement of equity. Direct taxes are inconvenient owing to the lengthy procedure of filing returns. For most people payment of direct tax is a task to convince oneself to pay a part of their income as tax to the state. This is a boost to evade tax further. It is also inconvenient in terms of maintaining accounts in a proper form. In India, there is sectoral imbalance as far as direct taxes are concerned. Certain sectors like the corporate sector is heavily taxed, whereas, the agriculture sector is 100% tax free. An indirect tax is a tax collected by an intermediary from the person who bears the ultimate economic burden of the tax. It can be shifted by the taxpayer to someone else. An indirect tax may increase the price of a good so that consumers are actually paying the tax by paying more for the products. Customs Duty is a tariff or tax imposed on goods when transported across international borders. The purpose of it is to protect the country’s economy, jobs by controlling the flow of goods, especially the restrictive and prohibited goods, in and out of the country. Hence, simply put, it is the tax imposed on imports and exports of goods. Basic Duty: It is levied on all imported goods. Additional Duty or Countervailing Duty (CVD): Countervailing Duty (CVD) is charged on import of specific goods listed by the government of importing country as per their Foreign Trade Policy. It is imposed to balance the price of the same product of domestic producers and the price of foreign producers based on the export subsidy they avail from their exporting country. Anti-dumping Duty: Dumping is basically when foreign sellers may export into India, goods at prices below the amounts charged by them in their domestic markets with the intention to capture the Indian markets. That is why, in order to prevent dumping, the Central Government may levy additional duty equal to the margin of dumping on such articles. Protective Duty: The Central Government may levy protective anti-dumping duties at the rates recommended on specified goods. Export Duty: Such duty is levied on export of goods. The main purpose of this duty is to restrict exports of certain goods. It is the tax which is charged on excisable goods that are manufactured in India and are for domestic consumption. It is mandatory to pay Central Excise duty on the goods manufactured, unless if they are exempted. The Service Tax is levied on the gross or aggregate amount charged by the service provider on the receiver. Sales Tax in India is a form of tax that is imposed by the Government on the sale or purchase of a particular commodity within the country. Sales Tax is imposed under both, Central and State Government Legislation. Generally, each state follows its own Sales Tax Act and levies tax at various rates. It is a tax on the estimated market value added to a product or material at each stage of its manufacture or distribution, ultimately which is passed on to the consumer. It is a multi-point levy on each of the entities in the supply chain. STT is a tax levied on all transactions done on the stock exchanges. STT is applicable on purchase or sale of equity shares, derivatives and equity oriented mutual funds. A person becomes investor after payment of STT at the time of selling securities (shares). Selling the shares after a period of 12 months comes under long term capital gains and one need not have to pay any tax on that gain. In the case of selling the shares before 12 months, one has to pay short term capital gains @10% flat on the gain. Direct taxes are paid entirely by a taxpayer directly to the government Indirect tax is ultimately paid for by the end-consumer of goods and services. Both direct and indirect taxes are important for our country as they are linked with the overall economy. Both are collected by the central and respective state governments according to the type of tax levied and are important for the government as well as growth perspective of the country. How should you set your financial goals?